Compress large files, protect your privacy or share your data for a unbeatable price. UltimateZip supports all common archive formats, including ZIP, ZIPX, RAR, 7Z, TAR, GZIP, BZIP and more. Secure your files with 128- or 256-bit AES encryption. View more than 100 different file formates from inside archives, without extracting them. 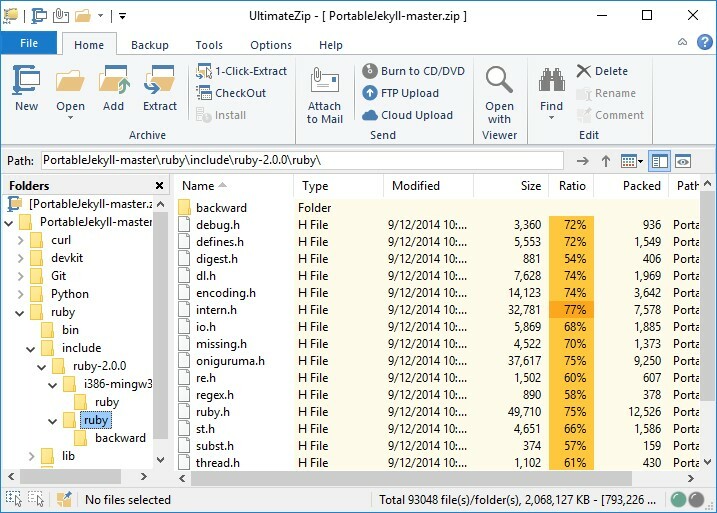 UltimateZip is 100% portable, copy it to your USB-Stick and use it anywhere.